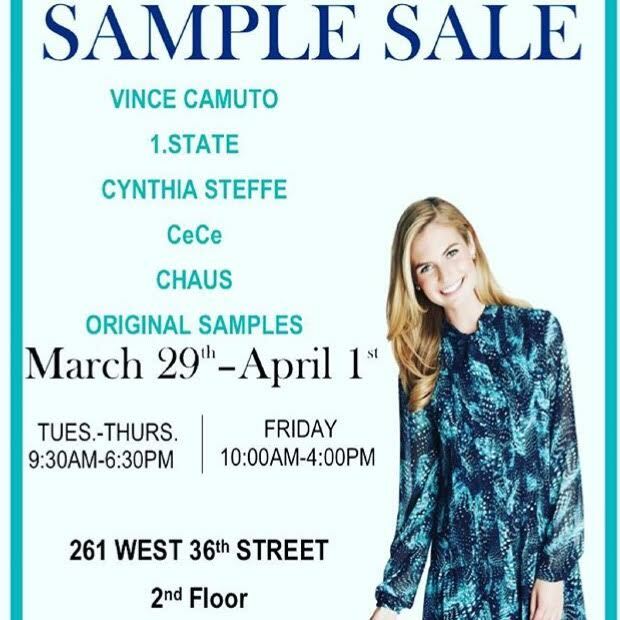 Everything Is $25 & Under at the Cynthia Steffe & Vince Camuto Sample Sale! For a couple years now I've been meaning to check out the Cynthia Steffe sample sale as it's notorious for it's insanely cheap prices. When I spotted this notice on Instagram I made sure to be at the doors when they opened this morning. Additional brands included were: Vince Camuto, 1.State, CeCe and Chaus. They also had other random brands floating around too. Prices started at $10 for bottoms, $15 for tops and rompers, and topped out at $25 for dresses and jackets. Sizes were mostly size small or 4 and the back wall was all plus sizes. I should warn you, it's easy to get caught up in the shopping frenzy. Take a plastic garbage bag when you walk in because you're gonna need it. Hoards of shoppers were grabbing everything in sight. Take everything that may work for you and find a corner to try on. Unfortunately there are no mirrors so find a shopping buddy whose opinion you trust - but you can always have them take a picture with your phone if you're not sure. These pictures were taken after I shopped so it was already pretty empty. They said they would be slowly restocking as they had boxes and boxes to unpack. This is what I mean by random brands - spotted this NWT Kamali dress. Spotted this floral CeCe dress in several colors. Couldn't find any leather jackets but they had a few faux ones. This one was by Chaus. Cynthia Steffe dress, size 4. Cynthia Steffe faux fur colored vests. Cute colors but too boxy for me. Another Cynthia Steffe dress,size 4 - had a few colors. I wish looked for more skirts as they were only $10. These faux leather ones were cute but I still passed. Vince Camuto faux fur poncho. Vince Camuto faux fur vest. Vince Camuto faux suede fringed jacket. NWT Topshop dress/tunic, retail $105. They charged me $10 for some reason and I'm not complaining. It's a little snug across the chest but that's because I'm not a size 4 in Topshop. Reminds me of one of my Rebecca Taylor dresses. Vince Camuto size small long cape, retail $199. I had seen this before so for $25 it was a no-brainer. Very linty thou. Black fur capelet, $25. Looks like a vintage piece and has pretty embroidered lining. Pretty sure it's the real deal so I took it. After the sale I ran out of time so I didn't pop into the Bauble Bar sale but I heard it wasn't that great anyway. I headed uptown to meet a new personal shopping client, so after I went to my old favorite thrift store at the church at 96th and Broadway. Sadly it's just not what it was. I used to get so much designer stuff for next to nothing there but it was full of overpriced junk today (and the past few times I checked). I did dig these designer kids pieces out of the bins for $1 each. The tutu dress is Little Mass, the black lace tunic is Deux Par Deux, and I just couldn't leave behind the tiny baby Mayoral sweater. It's so cute I'll save it for my future grandkids if I have to LOL. 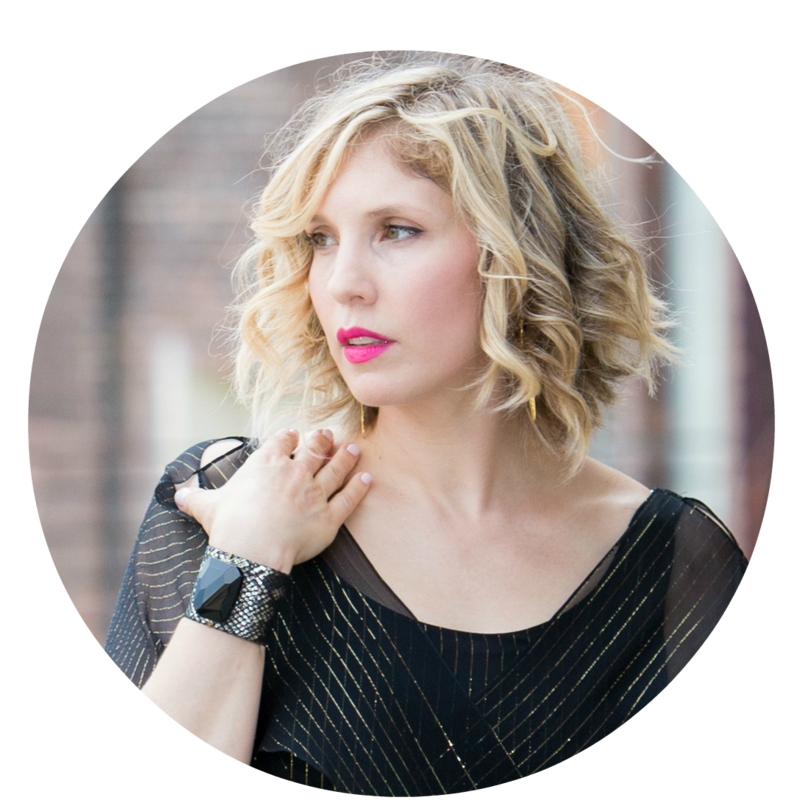 BTW, the Rent the Runway sample sale is returning to 260 Sample Sale on April 5th - you can click here to sign up for a VIP ticket! I don't think it pays for me to go as I'm a solid size 8 and I prefer not go and be depressed that it's mostly size 4's. Aint nobody got time for that! I have your black and white knit dress in a bold turquoise- it's fun! And looveeee the Topshop. I own the pleated color block skirt too. I'm a pretty solid 6 these days I found stuff - you would have too. Sizing was all over the place but a lot of stuff was tight. So funny you have that skirt. I like the idea of it but the pleats don't agree with my hips. WOW!!! Your haul is amazing, why even shop at H&M etc, haha when you have access to these designer sales, can't wait to see how you style everything! Thanks Tracy. I shop at H&M for the $1-3 pieces - just wait till you see my latest haul. At the sale I was thinking at $25 some of these things weren't that cheap LOL. I am so jealous! I've never been to a sample sale. Can anyone go? Also, I don't live in NYC, but visit about once a year. Is there a certain time during the year when sample sales are held? When is the best time to hit them? Some are open to the public and some are by invite only. Next time you're here either check out my blog or insta feed - or check the sample sale sites like Racked. The sales usually heat up May-ish and again Nov/Dec. GL!